If you have recently arrived in Sydney or are planning to move to Sydney for work or study, you may need to translate your academic transcript from a foreign language into English. Or if you are an Australian looking to study overseas, you may be required to translate your academic transcript from English into a foreign language. If you are thinking about translating your academic transcript, Sydney Translations is the team for you. Our NAATI certified translators translate documents from all languages into English and also English into all languages. Prices for our NAATI certified Sydney academic transcript translations for a special price of $69.00 per page. Our academic transcript translations in Sydney are NAATI accredited and certified. Sydney academic transcript translation service – what languages do you do? Our NAATI certified academic transcript service is available for documents in any language. Popular languages for our Academic transcript service include Arabic, Chinese, German, Nepali, Greek, Ukrainian, Indonesian, Portuguese, Persian (Farsi), Urdu, Czech, Dari, Korean, Latin, Polish, Japanese, Malay, Serbian, Bosnian, Sinhalese, Spanish, Tamil, Vietnamese, Croatian, Danish, Dutch, French, Spanish and Thai. 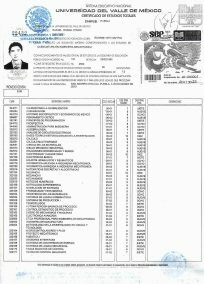 How long will it take to translate my academic transcript? Fortunately, for most of our academic transcript translation clients, we are able to complete their academic transcript translation within 2-3 business days. We send the draft translation back to you via email and then request that you approve the translation of your academic transcript. We then post out the hard copy in the Post, if required. Regular Post and Express Post options are available. If you need your translation more urgently, please ask us about our express Sydney academic transcript translation service. Very quick service. Accurate translation of my academic transcript. Friendly staff. Did a great job with the translation of my transcript from my University. Thanks for your great service and I will tell my friends. For translation of academic transcripts into English, the majority of 1 page academic transcripts are deemed as ‘standard documents’ and are priced at a flat rate per document of $69.00 per page.